The Pier Arts Centre collection has grown steadily since the founding gift of 67 works was made by Margaret Gardiner (1904-2005) in the 1970s. Further gifts, bequests and active collecting have increased the collection which now numbers 185 works. This exhibition offers an opportunity to view a broad selection of acquisitions, alongside Margaret Gardiner‘s original gift. These new additions advance the Modernist spirit behind the Pier Arts Centre collection, bringing new readings to the works and providing further insight into the collection’s central themes of colour and light often described in an abstracted landscape form. Presented across the three floors of the gallery, the displays offer a rare opportunity to view a large proportion of works from the Pier Arts Centre Collection, illustrating the generative power of Margaret Gardiner’s unfolding gift. Over the last eight years, the Pier Arts Centre has added a significant number of works by contemporary artists to its permanent collection. The addition of these works has been enabled through the support of a number of national bodies dedicated to supporting galleries and museums to acquire artworks that enrich and extend their collections. 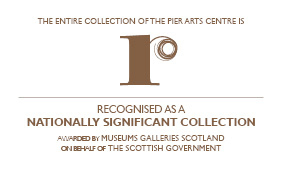 The Pier Arts Centre has been supported in its collecting by: the National Collecting Scheme for Scotland; the National Fund for Acquisitions; The Art Fund; and the Contemporary Art Society. The Centre’s founding collection donated by Margaret Gardiner (1904-2005) has at its core a distinct interest in colour and light underpinned by an analytical interest in landscape. These guiding principles, established by Margaret's perceptive eye and enthusiasm inform and steer current collecting. Contemporary additions provide new insight into the core collection and create an active dialogue between twentieth and twenty-first century works. Many of the artists belong to a period of influential creative output from Scotland. Over the last twenty five years this generation of artists have made a significant impact both in the UK and internationally, many as Turner Prize winners and nominees. 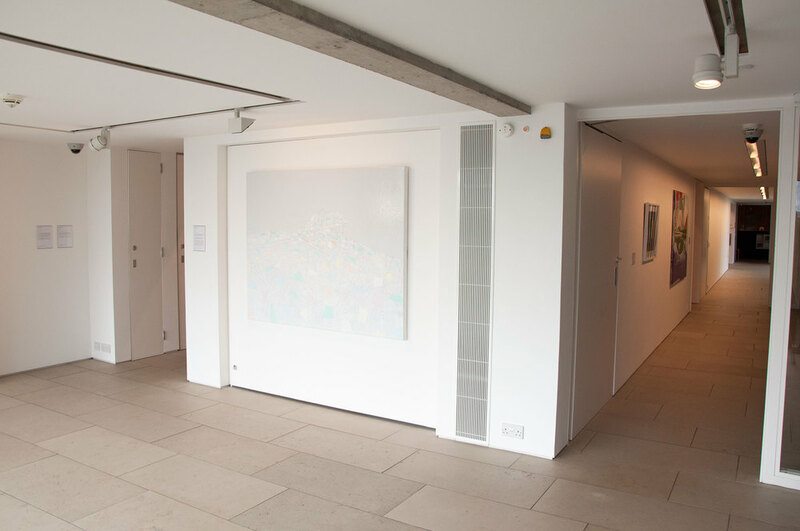 These contemporary works are displayed in juxtaposition to work also acquired within the last eight years by longer established artists such as Ian Hamilton Finlay (1925-2006), Alan Johnston and Sean Scully. The relationships that are created between the works of Margaret Gardiner's core gift and recent additions offer the possibilities for new readings and discoveries. 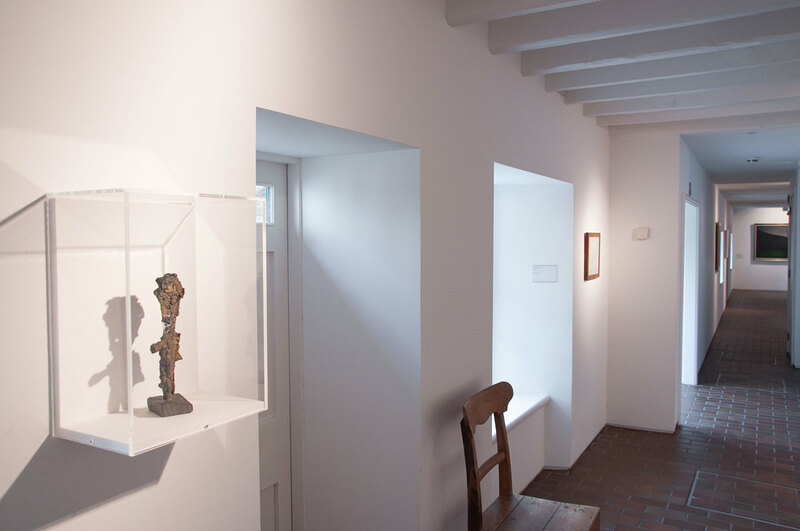 Many of the associations arise through the themes and parallels that underscore the permanent collection – colour, light, reference to landscape – but there are also the more conceptual, less tangible connections that don't necessarily manifest themselves immediately and are more subtlety referenced, allowing the visitor to make a more personal path and journey through the displays. The relationship between artwork and architecture is carefully considered when new displays are being arranged and it is perhaps not so coincidental that the Colour Spectrum Series so naturally inhabits the 'double cube' of this gallery space. Larger works retain their human scale through the modular nature of their components reflecting something of the domestic scale of the core collection. The recent gift from the Barns-Graham Trust of Wreck, Warbeth by Wilhelmina Barns-Graham (1912-2004) has provided the opportunity to bring together the work of three of Scotland’s most significant women artists of the latter half of the twentieth century and to highlight the role that Orkney has played in the artists’ output. The Norwegian trawler, The Northolem was wrecked on the Kirk Rocks, at Warbeth, west of Stromness in 1966. In the mid 1970s it became a key motif in the drawings and paintings of Sylvia Wishart (1936-2008). 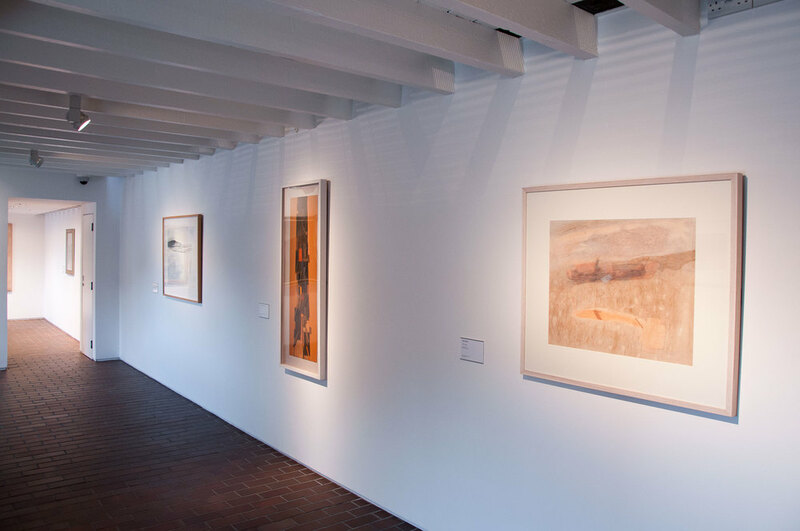 Both Barns-Graham and Wishart were fascinated by the abstract qualities of the geological structure of the landscape and in the two works displayed here the shoreline. Wishart was born and brought up in Stromness, maintaining a home and studio in Orkney during her teaching career in Aberdeen. She played a crucial role in the development of the Pier Arts Centre in the 1970s. Bet Low (1924-2007) and Barns-Graham both made working visits to Orkney in the 70s and 80s respectively. All three artists, though different in their approach, each acutely observe the landscape, with the abstracted textural qualities of shape, pattern and the layering of colour and light a common feature. A shipwreck also features in Against Longships fog, by Alfred Wallis (1855-1942), and is displayed on the first floor above in the Pier Arts Centre core collection. Margaret Gardiner's original gift to Orkney contained one work by Alan Davie and six by Eduardo Paolozzi, since then through further gifts and additions there are now six Davie works and eight by Paolozzi in the permanent collection. Both artists were are the forefront of the development of twentieth century British Modernism and each were innovators in their particular approach to their work. Davie’s paintings and prints embrace a vast and eclectic range of symbols and imagery derived from his passion for ancient and contemporary cultures while Paolozzi’s interest in abstracted form and materials led to his pioneering use of industrial materials and popular icons.